Obviously, that was a ‘negative outcome.’ Therein lays the problem with simply having a gun without doing any scenario training with it. My research has brought me to the point where I am less concerned with the marksmanship aspects of personal protection than I am with 1) proper gunhandling and 2) appropriate decision-making. Those two items are almost completely absent from most gunowners’ repertoire. 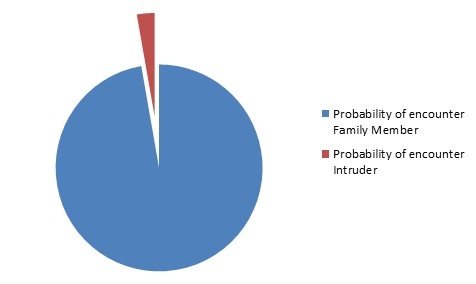 There are a competing set of probabilities we have to consider in a home defense situation. If you have anyone else living in your home, the most likely probability is that the 3 a.m. bump you hear or shadow you see is, in fact, a member of your household. For sake of argument, let’s put that probability at nearly 100%. There is, however, a competing probability that it is an intruder. That probability is much lower, somewhat above 0%, depending on where you live. The Bureau of Justice Statistics reports that the burglary rate in the US was 27.6 victimizations per 1,000 households in 2011, or 2.76%, so let’s round it up to 3%. Assuming it’s an either/or situation, which it’s not, that would make the likelihood of encountering a family member, rounded, at 97%. Graphically, this is what those competing probabilities look like. Looking at it this way makes a very strong case for why we have to positively identify before we shoot. It is 32 times more likely that the sound or shadow is a member of the household than it is an intruder. Las Vegas would really like those odds. If we’re going to be the slightest bit responsible, we have to look at ALL the possibilities, not just the ones that scare us the most. Shooting through the door without doing any kind of identification is just plain wrong. Verbalization is so important in personal protection scenarios. And it’s something very few people practice on the range, or any other time, for that matter. I’ve had female clients tell me “I can’t say that.” Well, you better learn to say something. At home, the verbalization doesn’t have to be complicated. “Who’s there?” will probably suffice. You do have to be able to talk with a gun in your hand, though. Once again, hearing “Honey, it’s me” should immediately trigger a stand-down response on our part. Stand-down is another thing that’s uncommon for people to practice but really important when you look at the probabilities. 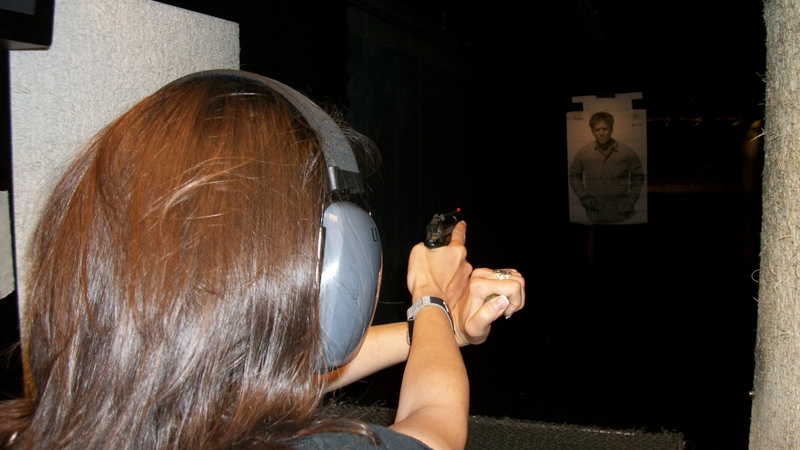 In a home defense encounter, ‘Stand-down’ should most likely mean immediately physically placing the gun down and moving away from it to avoid unpleasant after-effects of a startle response. 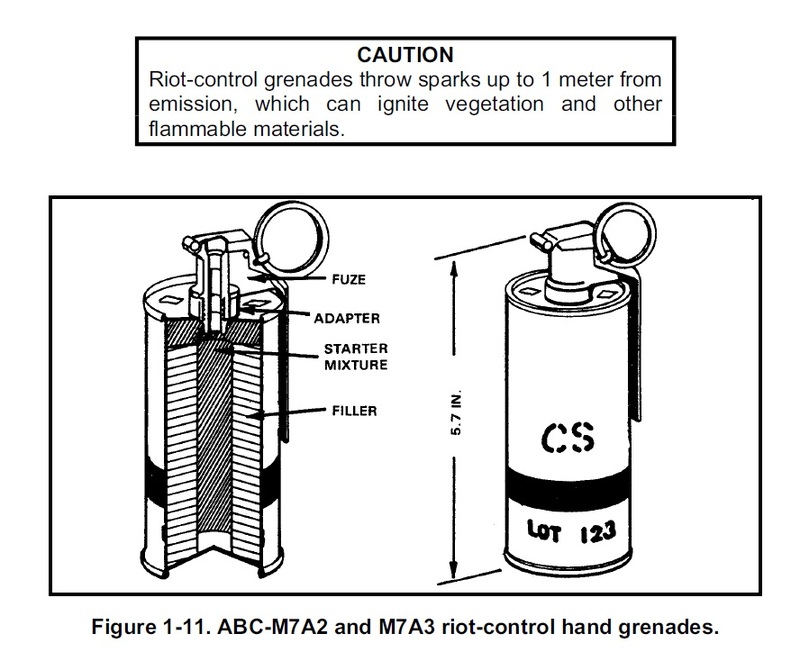 Having to do so brings up those proper gunhandling and muzzle direction issues again. This also bears on the issue of ‘training for the worst possible case.’ A serious definitional issue has now arisen in my mind regarding that concept. Is ‘the worst possible case’ having a dangerous armed intruder in your house or shooting and killing a family member by mistake? I don’t have an answer for that question but it has now become a relevant issue for me, as it should be for you, too. Oklahoma City police say a husband accidentally shot and killed his wife thinking she was a home invader early Wednesday morning. There’s no other way to describe this other than a tragedy. It should be noted that their child was in the house, as well. The story is that the child did not witness the incident; I certainly hope that is true. Sadly, this is not the only incident of this nature in my database. It’s essential that we know what we are shooting at; absolutely essential. There are two possible reasons for this kind of tragic occurrence; 1) lack of forethought and preparation and 2) training scars. I don’t know which one was at fault here but given the small number of people who take any kind of training, my guess is that it’s the former. Lack of forethought and preparation means when this type of incident occurs, the shooter hadn’t given any thought to the possibility that someone else was home or that a family member might be moving around the house at night. People do get out of bed at night to have a snack, go to the bathroom, or just because they can’t sleep. Anyone who has other people living in their home needs to consider that as a very real possibility. The shooter might not have had a flashlight next to their firearm, either. It’s amazing how many people don’t have any flashlight at all in their home. 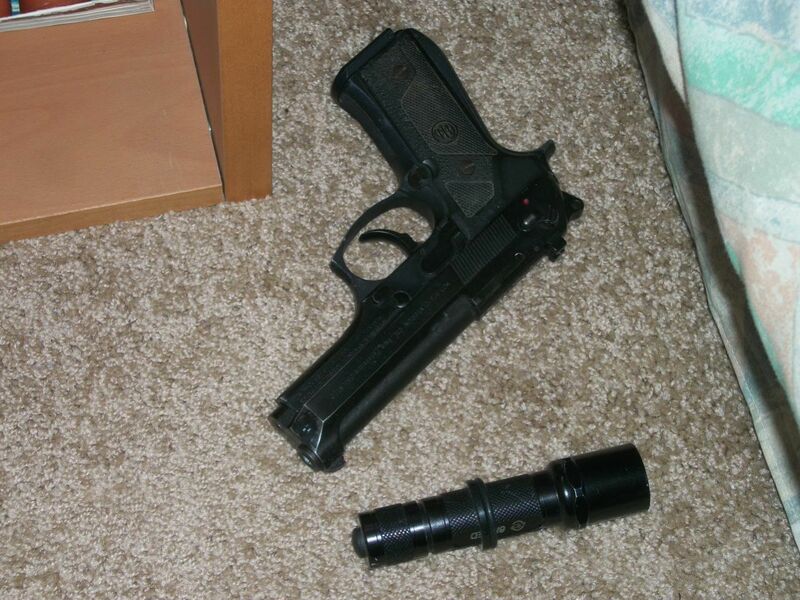 From the practice standpoint, it means that you have to know how to work a flashlight and a pistol simultaneously. It also means you have to learn to verbalize and challenge an unknown person before shooting. In almost every incident of this type, a simple challenge such as “Who’s there?” would have prevented a tragedy. You don’t have to be in the Bureau to recognize a response like “It’s me, Daddy” as a clue. Get a flashlight. Decent ones are available for less than 10 dollars. Keep it next to your pistol at night. Don’t pick one up without the other, period. Incorporate a challenge into your range practice, along with learning to operate the flashlight and pistol simultaneously. The life you save might be someone very important to you.